Cypress Semiconductor has announced a trio of new products, including Wi-Fi / Bluetooth combo chipsets and supporting software serve as application development platforms that enable multiple users to connect and seamlessly stream unique content to as many as 10 mobile devices simultaneously. The new infotainment platforms include a Wi-Fi 6 (802.11ax) and Bluetooth combo solution that features Cypress’ Real Simultaneous Dual Band (RSDB) architecture. RSDB has become the de facto standard for premium connected infotainment experiences, enabling two unique data streams to run at full throughput simultaneously by integrating two complete Wi-Fi subsystems into a single chip. Wi-Fi 6 enables gigabit-level throughput and improves reliability for content streaming to multiple devices at once. According to Cypress, premium infotainment systems require high-throughput, multi-role, concurrent operation to implement wireless mirroring for applications such as Apple CarPlay, Android Auto and Mirrorlink. Cypress’ Wi-Fi and Bluetooth combo solutions meet these needs and also offer simultaneous Wi-Fi Hotspot and content access, and multi-band/multi-radio coexistence for video and Bluetooth audio. The Cypress CYW89650 2×2 plus 2×2 Wi-Fi 6 and Bluetooth 5.0 combo solution delivers more than 1G bps throughput, and the RSDB architecture enables concurrent operation for these use cases in high-performance infotainment systems without audio or video degradation. 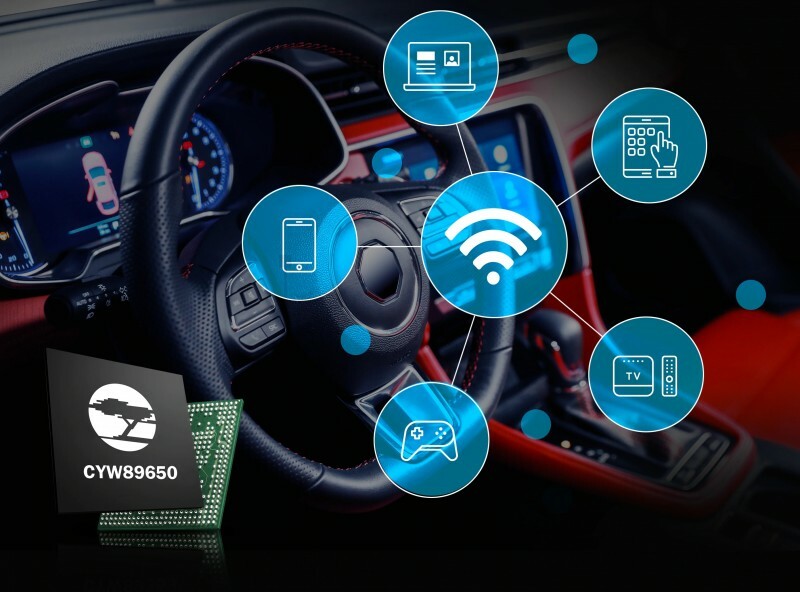 The new CYW89459 2×2 Wi-Fi 5 and Bluetooth 5.0 combo with RSDB builds on the success of Cypress’ existing automotive Wi-Fi 5 solutions, enabling more connected devices to the head unit and including emerging features such as WPA3 security, Wi-Fi Location and Wi-Fi Aware. Together with the new cost-effective CYW89373 1×1 Wi-Fi 5 and Bluetooth 5.0 combo, the portfolio provides mass market to luxury class vehicles with advanced wireless performance and medium coexistence management for an uninterrupted entertainment experience. Cypress’ automotive wireless solutions are fully automotive qualified with AEC-Q100 grade-3 validation. Cypress’ existing solutions have been designed in by numerous top-tier car OEMs and automotive suppliers and are in production vehicles today supporting infotainment and telematics applications such as smartphone screen-mirroring, content streaming and Bluetooth voice connectivity in car kits. 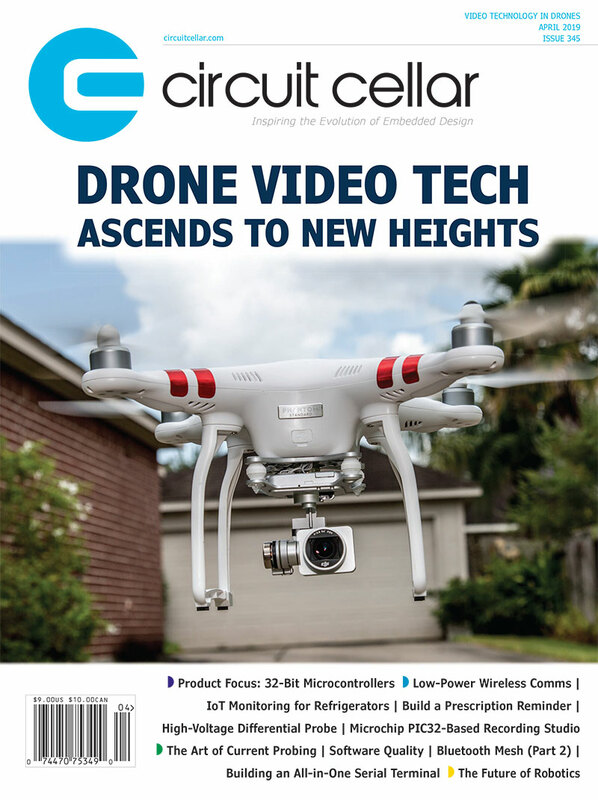 This entry was posted in CC Blog, Industry & Enterprise, Product News and tagged Automotive Infotainment, Bluetooth, Wi-Fi by Circuit Cellar Staff.